SC Appleseed advocates that all children must have full access to educational opportunities. This includes keeping all kids in school, out of jail and on track to become contributing members of society. To that end, SC Appleseed provides advocacy and works with parents to see that public school districts fulfill their legal obligations to all students, including those with special needs. We believe that it is critical that schools work to fix students’ problems instead of exacerbating the problem for others later on. We do this by working with the community and educating parents and policymakers to ensure that every child reaches his or her full potential. As in every other area that SC Appleseed operates, we work to insure that children’s voices will be heard on the issues that most affect them. 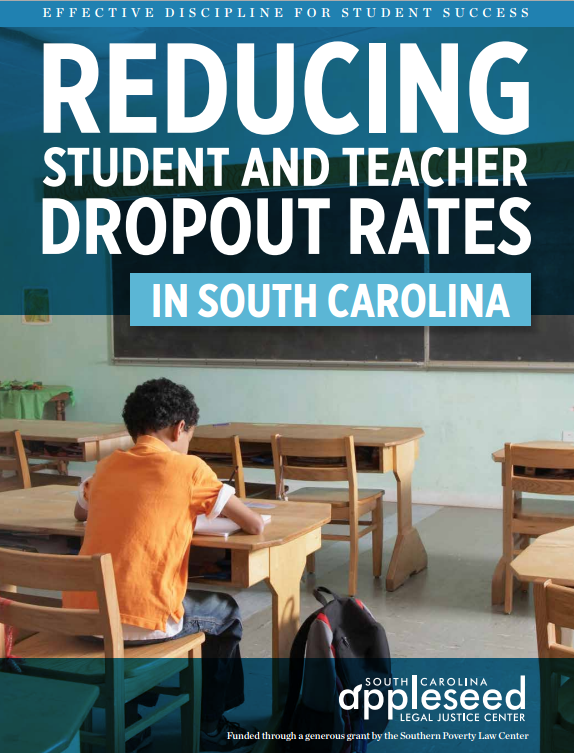 The South Carolina Appleseed Legal Justice Center has produced a report of innovative recommendations for reducing South Carolina’s alarming student and teacher dropout rates, part of a national effort to draw attention to the problem of zero-tolerance discipline policies. 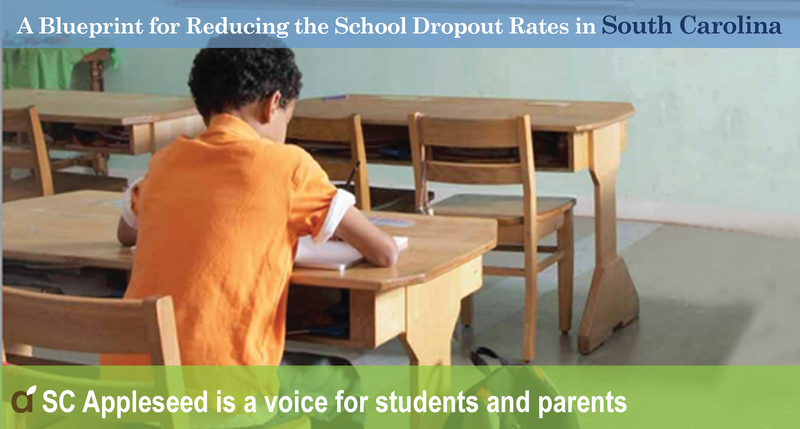 The report Effective Discipline for Student Success: Reducing Student and Teacher Dropout Rates in South Carolina – promotes a research-based approach to school discipline that also improves academic performance and school safety. Its principles can be applied to schools everywhere. For change to happen, we must build a strong group of people who are willing to tell school leaders and policymakers that the school-to-prison pipeline must end. SC Appleseed is connecting students with the help they need to stay in school, and connecting families who have had school-related problems with other such families to work together on solutions. We’re helping parents understand better ways of discipline schools can use, such as School-wide Positive Behavior Interventions and Supports and Restorative Justice. We need input from families dealing directly with school discipline issues to find solutions. You have the opportunity not only to help your family and other families who may be facing similar problems, but to find solutions for students all over the state. If you would be willing to join a parent group or would just like to learn more, please contact us. SC Appleseed added its voice in the efforts to change school funding by filing a “friend of the court” brief in support of South Carolina’s poorest schools fighting to get sufficient funding. We have also worked with the Southern Poverty Law Center in their “School to Prison Pipeline” project, which seeks to end the practice of driving students with special needs out of school and into the prison system.